When the iPad was introduced, critics dismissed the device as only good for ebook reading, internet browsing, and casual gaming. But when iMovie debuted on iPad less than a year later, it was clear Apple’s tablet ambitions were more grandiose. Although great for quickly assembling short videos, the free iMovie for iOS never quite lived up to lofty expectations. There’s no indication the no-frills app will ever acquire the more robust mobile video editing skills of Final Cut Pro - and that’s just fine, because there’s already an app that does this quite nicely. LumaFusion is the first mobile video editor that lives up to the hype, one so ridiculously feature-packed, it seems unfair to pay the developer so little ($20) for it. 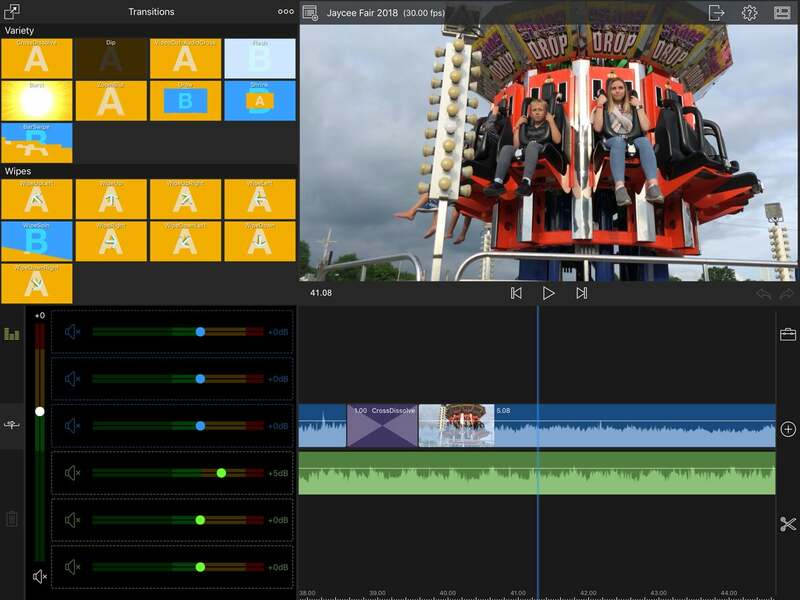 Rather than reinvent the wheel, LumaFusion enables old-school multitrack editing—three tracks for video with audio, plus three for audio only—in a modular user interface reminiscent of the classic Final Cut Pro. I’ve tried all of the third-party mobile editing apps. They’re either too cumbersome or have limitations that make them unsuitable for more ambitious projects. Worse yet, most of these apps feel like they were designed by people who never edited video before. Open a clip, trim to the desired in and out, then drag and drop it into the timeline. LumaFusion makes it easy—and fun. 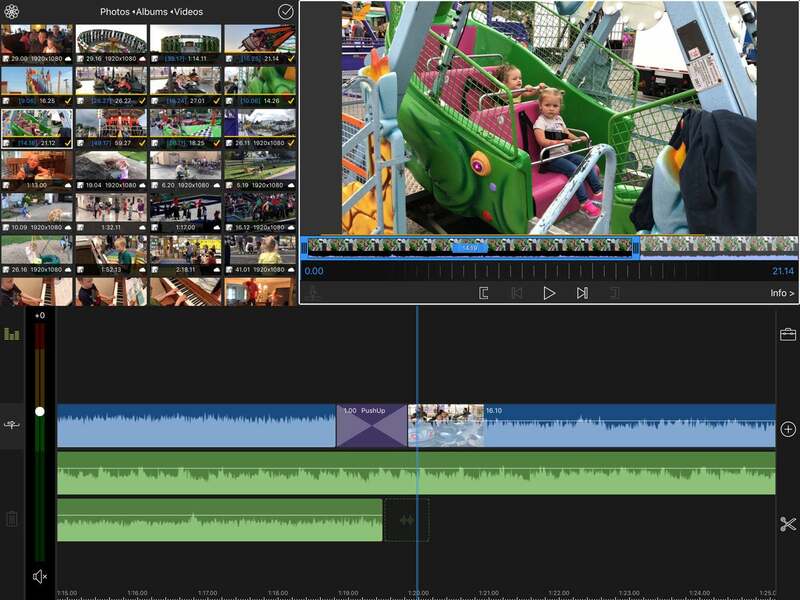 Not so with LumaFusion, whose comprehensive tools are laid out in a logical, intuitive way that will be instantly familiar to anyone who’s used desktop non-linear editing software. Even on the iPhone, the user interface is surprisingly spacious and easy to use, especially after watching the quick start video linked in the Help menu. Multiple preset layout options accommodate most any editing style. The universal app checks off a lengthy list of professional features: Support for frame rates other than 30p (24p, 60p, and PAL standard 25p or 50p), ripple and slip editing, the ability to shuttle or mark in/out points from the source viewer, live audio mixing, advanced titles, and most remarkably keyframes, which allow basic size and position animation. Even on iPhone, LumaFusion does a great job of keeping the user interface uncluttered and easy to use. Until recently, editing video on iOS was limited to media from the Camera Roll. iOS 11 and the Files app changed all that, but LumaFusion kicks things up another notch with support for importing from (or exporting to) cloud storage and SMB-compatible network-attached servers like my ASUSTOR AS7008T. Once imported into LumaFusion, tap on a clip in the Sources panel to open it in the viewer, then trim start and end accordingly. Thoughtful touches abound: Swipe down to mark an in point, up for an out point, or make precision trims with by double tapping the viewer to go full-screen. Before dragging a clip from the viewer and dropping it onto the timeline, you can switch between overwrite and replace edit modes at the tap of a button. By default, LumaFusion performs insert edits, automatically shifting adjacent clips to make room for the one being added; it’s also easy to replace existing clips by dragging a new one on top of them. Beyond basic editing, LumaFusion shines at spicing up projects with a generous selection of effects, transitions, titles, color correction, and a small (but high-quality) library of royalty-free music built-in. The ability to key out footage shot against blue or green screens is particularly impressive and works remarkably well. A live audio mixer and comprehensive video transitions make the dream of mobile editing a reality with LumaFusion. Still on my wish list is iCloud sync between devices—you can’t start a project on iPhone and pick up where you left off on iPad without performing an archive and restore. But that’s nitpicking, considering the exhaustive number of things this app can do. 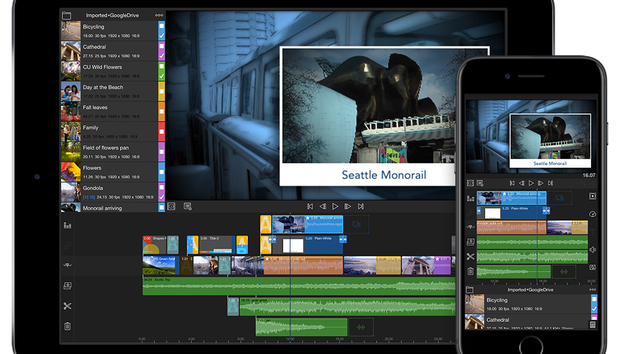 When it comes to editing video on an iOS device, LumaFusion has no equal. This is the poster child for how a “desktop class” mobile app should perform and redefines what’s possible on a smartphone or tablet.